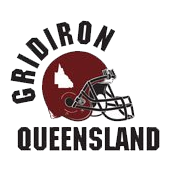 Welcome to the Moreton Bay Raptors Gridiron Club! Player Pack - The Player Pack is a one-off purchase for new players only (excluding Youth) and costs $150. All items in the Player Pack are for you to keep, forever! If you return the following season, you won't need to purchase the player pack again unless there is a change in our uniform design. Equipment Rental - Rental charges are fixed at a total of $50 and includes both helmet and shoulder pads for the season. No deposit required. Gear is subject to availability. All fees are in Australian Dollars and do not attract GST. 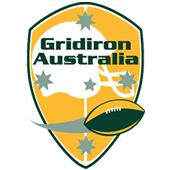 Fees cover registration in the Gridiron Queensland and Gridiron Australia league, and include insurance for the season once fees are cleared. All fees are non-refundable unless otherwise stated. Payments are accepted via bank transfer, or at training sessions with a debit or credit card, or cash. Payment plans and options are available. Further information can be obtained by contacting the Committee. Player, Coach, and Volunteer registrations can be completed at https://www.revolutionise.com.au/raptors/registration/. Please ensure you read and understand all the Terms and Conditions outlined during the registration process. If you have any questions about registration, please do not hesitate to contact us. Please visit our Play page for frequently asked questions and answers. If you have any further questions, please feel free to message us via Facebook at facebook.com/raptorsgridiron, or via email info@raptorsgridiron.com. Copyright 2018 - 2019 - Axander Pty. Ltd.